This is a cutesy romance story where two best friends miss their first chance at love and have to wait 10 years for a second chance. Cooper Schmidt was in love with his best friend Lyse Haynes, but he was the nerdy-dorky guy and never made a move. When Cooper finally had a chance he pushes her to accept a date with another guy. But come their high school reunion the nerdy guy has become Mr. Gorgeous and he's going to finally get the girl he's always secretly loved. 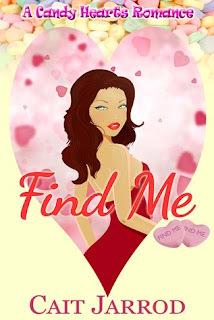 Along with the cute candy hearts legend of finding your soulmate and likable characters this story was romance fun.